The Expendables 3 Dolph Lungren star Comic Con poster. Lungren is back for his third Expendables. 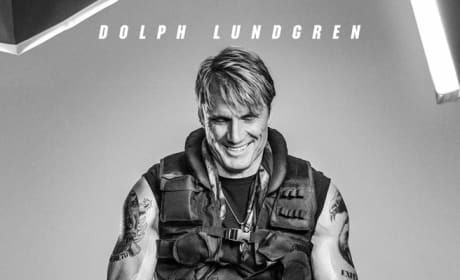 The Expendables 3 Dolph Lungren Poster. Lungren's back for his third Expendables movie. 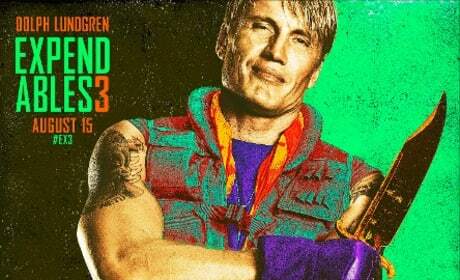 Dolph Lundgren is a Swedish actor, director and even knows martial arts. You might have seen him in The Punisher, Universal Soldier, Men of War, The Peacekeeper, Storm Catcher, The Last Warrior, Agent Red, The Defender, Diamond Dogs, The Expendables, and The Expendables 2. Lundgren has never been a professional bodybuilder, however he has been associated with bodybuilding since his role as Drago in the 1980s. The Expendables 2 Interview: Dolph Lundgren Has Braun and... Brains?